This is as close to a wordless Wednesday as I'll ever get. Can I tell you how much I adore the legs on this table? They are my favorite part of this darling little garage sale find. that hideous busted basket is going in the trash! I'm not a wordless kind of girl either! ;) Great score! Love how you lined the drawer. I'm going to try that next time. Thanks for visiting my little blog and leaving such a sweet comment. Love the transformation. Looks lovely! Great chippy table makeover Audra! It caught my eye at the Trash 2 Treasure Party. 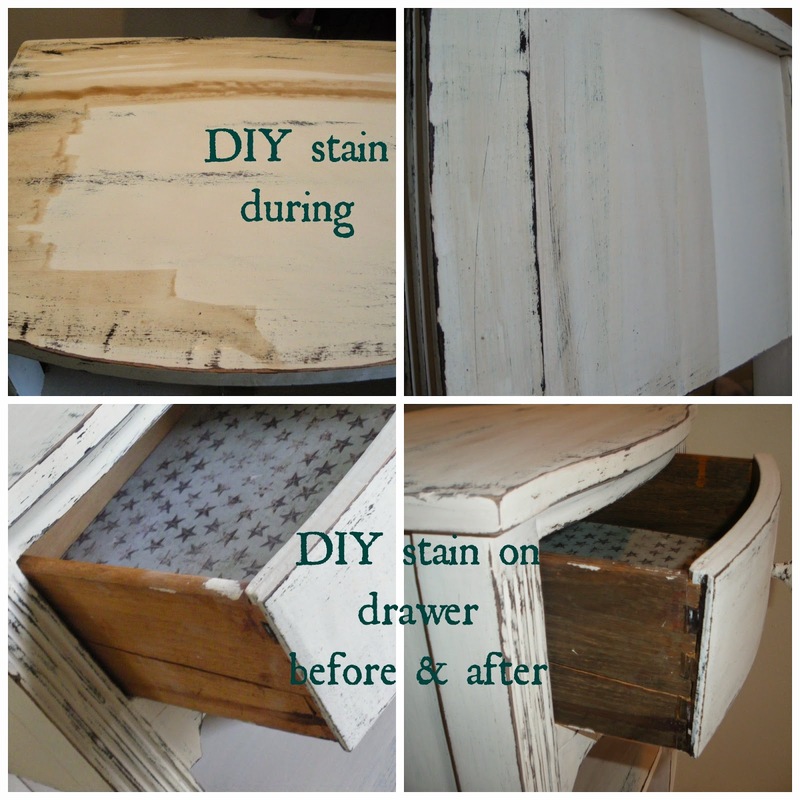 Did you line the drawer with paper or is it stenciled? It's very pretty none-the-less! 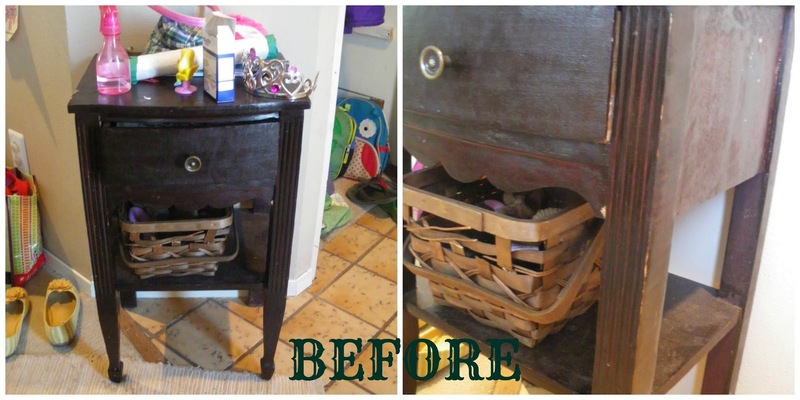 What a completely different table after your handiwork! Such a gem at a garage sale too. Clearly you can see the potential in things. Like that. Visiting via "FlusterBuster" linkup. Adorable little table. Love the new color. Awesome!Great job, Audra!I like so much and your blog too! Thanks for stopping by on mine! I love the way paint brings out all the details - so pretty! Such a cute little table. Great deal at only a dollar. 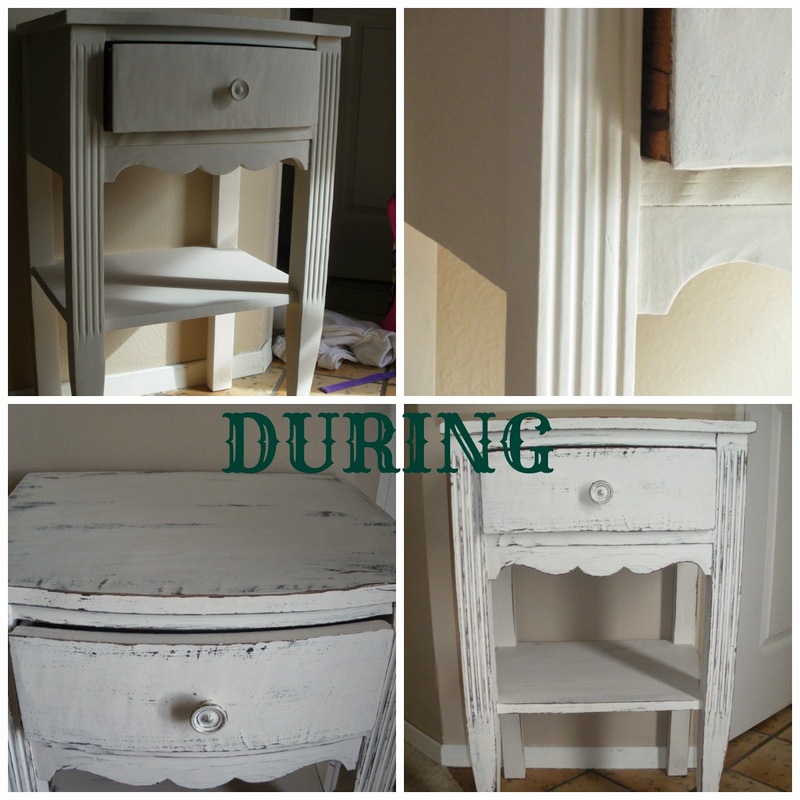 Chalk paint can be so expensive, kudos to you for successfully making your own!